Featuring an emphasis on strategy and shot-making, the course winds through stunning tree-lined fairways and beautiful rolling slopes following the natural contours of the countryside. Highlighted by one of the best layouts in San Diego Country, the course is located just 15 minutes from Interstate 15 in Valley Center, California. Designed by Dave Ginkel, Woods Valley Golf Club opened in 2004 and immediately garnered accolades for its compelling routing and premium golf course conditions. Measuring 6,670 yards and playing to a par of 72 from the black tees, the golf course is a true test of golf for accomplished players. However, 5 sets of tees allows for the course to be playable for all skill levels. In addition to the challenging layout, the golf course is situated in some of the most unique topography in North County San Diego featuring stunning views of the surrounding hills and valleys. Woods Valley is centrally located from three destination casino hotels, Valley View Casino & Hotel, Harrah’s Resort Southern California and Pala Casino Spa & Resort making it the perfect weekend getaway destination. Golf, gaming, dining and lounging poolside make Woods Valley Golf Club the perfect “staycation” for all San Diego and Riverside County residents. Complementing Woods Valley Golf Club is Birdies Bar & Grill. Birdies hosts a full bar and café that serves a delicious menu. Contact the Pro Shop (760) 751-3007 for more information. We are dedicated to providing our guests with exceptional, personal service and ensuring the success of the Golf Tournament and Events. 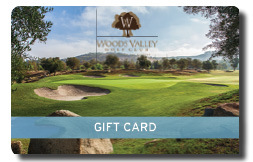 Woods Valley Golf Club is staffed by knowledgeable San Diego Golf Tournament Professionals prepared to assist you in every phase of your Golf Event. Success is assured by our hands-on approach to the planning, preparation and execution of every one of your Golf Tournaments and Outings. We are empowered with the knowledge to advise you with the best format for your Event and the flexibility to provide unique, creative solutions to your individual needs. 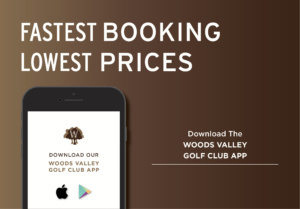 Whether you are planning a Shotgun Golf Tournament, or a Social Outing for clients, Woods Valley Golf is certain to offer the perfect combination of facilities, knowledge and service to make it a memorable, successful day on the Golf Course. Members can play in Reverse Shotgun formatted Tournaments weekly on Wednesdays and bi weekly on Saturdays at 8:00 AM. Check in start at 6:40 and goes until 7:40 AM. Competitors are placed in flights according to course handicap and number of competitors. Membership is open to anyone at least 18 years old. 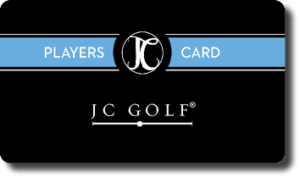 Membership dues include registration with the Southern California Golf Association and USGA handicap. For more information please visit the Southern California Golf Association website; for Men’s Club information, email wvmcadmin@wvmcgolfclub.com. Currently there is no Women’s Club due to lack of sufficient members however women are welcomed to be a part of the Men’s Club. For club rentals, contact the pro shop at (760) 751-3007.